KOMU 8 reporter Danielle Carter reported live from the Kirkman House, giving television viewers the synchronized experience from her car. 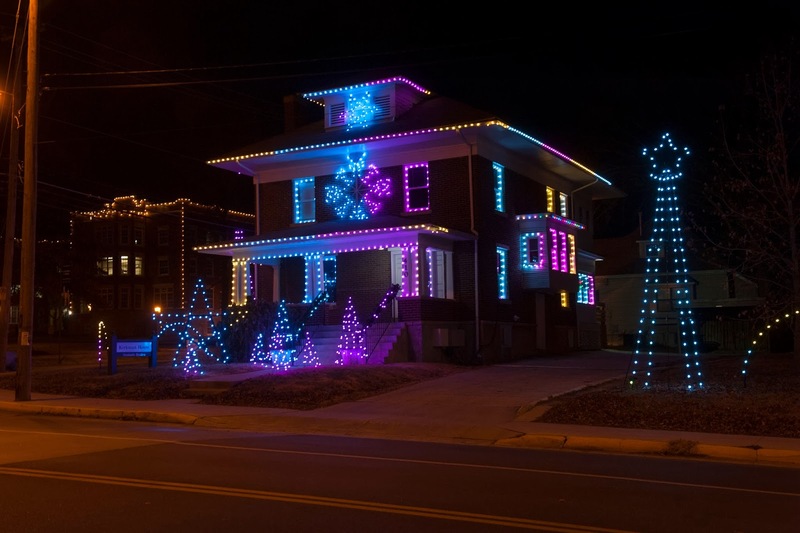 Conceptualized and implemented by former first lady Bonnie Brouder, the lights on the house are synchronized to 106.5 F.M. and play throughout the holiday season.